HAPPY BIRTHDAY TO . . .
carlie m a cullen @ wordpress ! So today, even though we are so close to the Heart Search launch, I’m taking time out to celebrate and raise a glass of the best bubbly I can afford to each and every one of my followers (most especially to you as you are the people who gave me the confidence to continue and improve my content), to every person who has liked one of my posts, indeed to everyone who has taken the time out to read one of my posts. Thank you all for making this first year so amazing and here’s to an ever better second year!! This entry was posted in Uncategorized and tagged birthday, blog, bubbly, heart search, launch, post, read, thank you, Wordpress by Carlie M A Cullen. Bookmark the permalink. 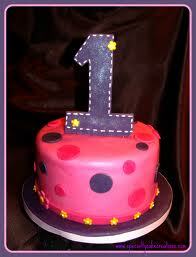 Aww, HAPPY 1ST BLOG BIRTHDAY, CARLIE! And may you have many more with great writing success! Happy Blog B’day and congratulations on the book launch. I wish you continued success.